At B&C Aquatics, we recognize that both private and group swim lessons have benefits and ultimately the one that will serve you best is dependent on your personal preferences in terms of your ideal learning style and environment. 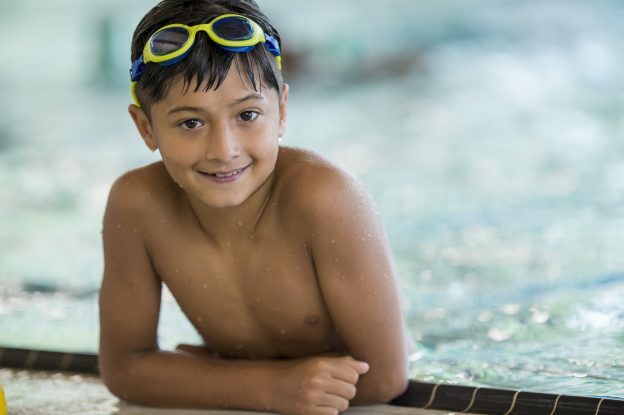 In this post, we want to highlight the benefits that private swimming lessons have to offer students so you can make an informed decision! Private lessons enable the student to have the instructor’s undivided attention in the water. This means more opportunity to be coached through the different skills. One-on-one lessons also enable the swim instructor to really understand your strengths and weaknesses, as well as your personality and create a swim program tailored to you. This individual attention goes a long way in helping the swimmer become more confident and capable in the water in a shorter period of time. This point is especially important with younger swimmers. When in groups, there is the potential to become distracted by your fellow swimmers, while individual lessons don’t have anyone else for you to focus on other than the instructor. This helps the student to devote themselves entirely to learning the new swimming skills throughout their lessons. With group lessons, the instructor has to set a reasonable pace that will enable all the kids to be challenged in the lesson. Private lessons recognize that all kids learn at different lessons and some will be better in certain areas than others. With that one-on-one attention, the instructor can move as fast or slow as that one student requires without fear of making the lesson to heard or too simple for other students.